11 Prerequisites for Django | How Much Python to Learn Django? By the way, he is running a startup based on AI products. There are so many Python frameworks available to develop a website and Python also holds good for AI development. What Should I Learn before Learning Django? As I keep saying, whether if you want to develop a data analysis tool, embedded programming for IoT devices or build a website, Python is easiest programming language to go with… at least easier than other competitor programming languages in its dome. There are so many external modules and framework available in Python for website development. You can make use of them. If you are a beginner, you can deep dive into Python bottle framework. It is the lightest web development framework. Just give it a try. It’s fun to see how you can make a website so easily. If you want to develop the full-fledged project, go with Django. You will find everything that you need to develop a website. But, developing the website in Django is not cake walk unless you have basic Python knowledge. Yeah, basic knowledge is sufficient. How Much Python to Learn Django? 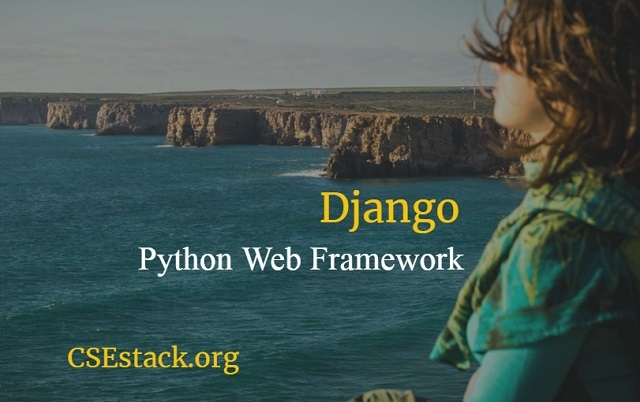 Django is Python framework and it’s obvious you need to get comfortable with some of the Python terminologies. Python function: How to pass the argument to the Python function? Setting default value. Getting a list of Python values using *args and **kwargs. While developing the website you may require multiple Python modules. It depends on the requirement for your website. So the understanding of importing external modules is required. The website is not just as we see in browsers. There are tons of data, images or any kind of data which are used in the background. To accessing those data files, you need to have the understanding of Python Path concepts. Get familiar with the Python control structure. It includes both conditional operators and loops. If you are coming from any other programming language and have basic Python syntax knowledge, it is not a big deal. No matter what programming language you are learning. The string is one of data structure you should be using in every other line of your project code. Sink yourself and try to check out all the string manipulation operations. It is easy to do that in Python. There is one more entity called: Regular Expression (RE). The main purpose of RE is to validate the string. For example, if you are asking visitors to input his/her email ID on your website, you have to validate if the string user entered is valid email ID. There is Python module- re for a string validation. Start using and exploring it in your Python code. You have chosen Django Python framework for your web development. What makes Python different from all other programming language is its prominent data structures like tuple, list (Difference between Python tuple and list), set and dictionary. Understand the structure of data saved in those type of variables. Check out all the functions associated with those data structure. It is fun as the things will start rolling so easily with those data structure variables. As the projects start looming you need to apply object-oriented concepts. In fact, it is better to drive the object-oriented concepts from the beginning of the development itself. It helps you to bind the similar kind of data (class) and access those data with a single variable called object. You can also reuse the lines of codes if the logic is same. And it reduces line of code, as well as, it will be easy to maintain. You might be thinking, I have listed so many basics prerequisites of Python to Learn Django web framework. One can learn Python and Django framework in parallel. In fact, most of the concept I have listed above will be cleared in parallel when you start developing a website using Django. I have already covered the detailed post about REST APIs, so I am skipping it here. JSON is the data structure which makes easy to store and transfer the data between different network entities. Data is crucial whether you are developing portfolio website or content management system. In today’s era, it is not reliable to save the date in a text file. If you are doing it, you are living far behind. There are various advantages of Database Management system over the traditional file system. So learn about database management. The relational database is common and widely used database management system. The data will be saved in table- row and column format. The SQL language is used to manipulate data in the database table. For example, to retrieve this data you need to learn SELECT SQL command. Once you get the data, you can manipulate and display it on your web page. Learning never takes you down. And it is the right time to start working on Python framework. The more Python knowledge you acquire, it will be easy for you to cope up with any Python web development framework including Django and flask. Whether you have any experience of web development or not, this simple guide to start learning Django is what all you need to get into Python web development. If you have an experience of working on any other programming language like C/C++, Java, PHP, Ruby… it is just a matter of Python syntax. And you will grasp it very easily. So, what are you waiting for? Pull your socks and start learning to develop something AWESOME! If you find this post of Python to Learn Django informative, do share with your friends. If you have any questions or queries to discuss, head to the comment section. Meanwhile, I take a break and will see you in the next article. Nice post…. Though it is advisable to continue learning Python as you are working with Django. Thanks, Godson and you are Right! There is nothing to hold back if the things can go in parallel. Python no doubt Google was using extensively 25 years back. A Netherlander who invented this made a huge impact on Python Lang. Today every IT industry including every sphere of industry uses Python. An excellent Python programmer always in great demand. Learning Python and for that matter any lang learning would prove beneficial. Google still pays big role whether influencing Python ecosystem or shaping business with it. TensorFlow is the instance where Google Brain Team comes up with a big contribution to drive machine learning and AI. Youtube is where they used Python and the list goes up. Great article. Python and Django are my tools of choice for server side. I never understood why PHP and Ruby/RoR has had more widespread adoption on the web than Python. Also, don’t forget regular expressions. It’s a small thing to learn but very useful for Django. Apart from web development Python has a wide range of scalability to work on different kind of projects. And Google contribution to make this happen is immense. YouTube, Reddit, Pinterest, Instagram, and Spotify use Python. Quora too. In future, it’s not a hype, if I say Python will dominate this web development because of clear syntax for beginners, glorious web framework and it’s scalability to incline AI and machine learning with your web development. Added Regular Expression to the list. And thanks for your suggestion. Thanks for this informative guide. I have started using Django for my project. I would like to get more of these pieces of stuff. I will keep posting more about Python and Django on our portal. Stay tuned! how much time it will take to master django. like rest framework, core , custom middle ware, generic views other security feature . Actually I am new to django . I Hard django easy to learn , but as I am trying it becoming more more complex and bigger. I am not saying it is hard , it was many things to cover . I am not understanding why people often say they learn djanog within a month . They must be more experience Developer or I am not able to invest right amount time and Interest. It is really difficult to say in terms of days. You can not realize the depth of your learning unless you have experience working on the related project. As much as you learn, you will find more scope to learn. In programming, learning does not mean you should know all the syntax. It is more like the approach you follow to solve the real problem. So just don’t follow blindly if someone says they had learned Django in a month or two. It takes time. If you want to ask someone about their programming knowledge, ask them how many problems s/he has tackled with her/his programming skill. If you really want to learn Django development fast, start developing project out of it. The challenges you face while solving real-time web development problems will make you wiser. Looking at your own project grooming up, you will also find more interest in learning and further scope. Learning programming is not a destination, it is a process. There will be always something interesting coming up.